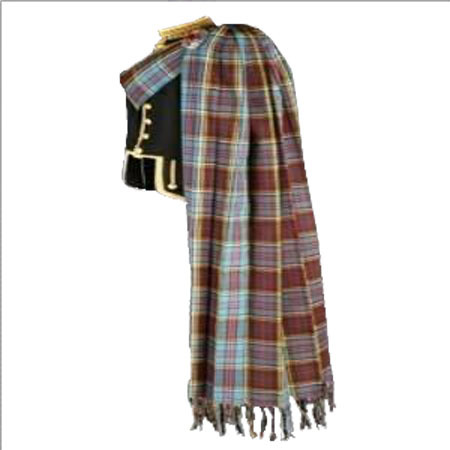 The Plaids Piper or Drummer that are not Twisted ,only fringed and knoted at the top are..... NOT..... made properly ,they should be twisted and knoted at the bottom. All my Full Plaids are Hand Twisted and Knoted. Fringes are 15+ cm long. Pleated to the Sett or to the Stripe . Nearly all in 3 weights available .